Open All the Doors You Wish To Open, Just Open Them! Earlier this year I wrote an article on this subject after dreaming about doors and its significance in my life. As a result and since that moment I have been very courageous opening doors to advance my life and my dreams and my aspirations. As a Coach, sharing this knowledge and experience helps each of us. You just might be experiencing at the moment your own personal reluctance to literally and metaphorically open that door that stands in your way of being happier and healthier and successful. Many people get caught up in self-doubt and negative thinking, which holds them back from being who they were truly meant to be and doing what they were meant to do with their life. We all have an inner voice and our inner voice is full of advice and truth. When we listen to our inner voice, or our “gut feelings,” we are steered in the direction of putting our best foot forward or avoiding something that would not best benefit us. Listening to your inner voice, having faith and learning the power of positive thinking can change your entire world and existence. Walk away from “it will never happen” and embrace that “it will happen, because I can do this. I deserve the best. I am wonderful. I am smart. I am successful. I can be anything that I want to be.” Thoughts are powerful things. Sometimes we do not realize just how powerful we are. Napoleon Hill and many other successful people of the past and present were and are aware of this great secret. You can master the power of your thoughts. Think positive, speak positive and “attract” positive. Think negative, speak negative and attract negative. The choice is yours. Our challenges are our life tests to see just how strong we really are. They are also meant to make us or break us. When we make it through the hard times, we have survived and have become stronger. But when we make it through hard times with faith, we have persevered. Determination, perseverance and faith can take you through any hard time. Always expect the unexpected in your journey to success. Expect that something may go wrong, but know that in the end it is for your higher good. If you fail, it wasn’t meant to be and another door will open… And always remember that God only gives his hardest battles to his strongest soldiers. Sometimes we dream big, but then life takes us in a different direction that what we had ever imagined for ourselves. So always remember that if one door closes, another door will in fact open. The door that shut was not in your best interest and was not meant to be. 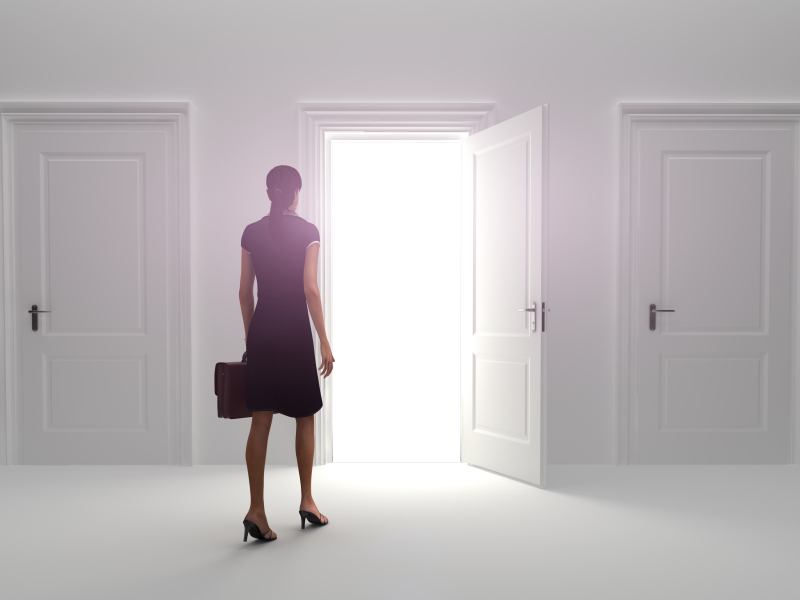 With hard work, determination and faith, you can open as many doors as you like. Your dreams can come true. Life is full of choices, and your future is your choice. No matter how many bad things you’ve been through or hard times you’ve faced, you have the choice and option to lay down and take a beating from those hard times or get back up and fight harder until that door opens that you were truly meant to open. No matter what life throws at you, never give up. There is a wonderful poem titled, “Don’t Quit,” and in that poem it is stated that things go wrong, as they many times do, but it’s when you’re hit the worst is when you can-not quit. This was worded a bit differently, but this poem is a true testament to the human spirit of going through hard times. Never give up no matter how hard you’re hit. Stay positive. Dream of success, envision it, believe in it, embrace it, and one day it will be yours. These words are very powerful, so be careful how you use them. Some of you may have been raised to think negatively and believe, “I can’t,” or that we have bad luck and things like that. That type of thinking will get you on a quick road to nowhere. Tell yourself that you can. Tell yourself that you are anything that you would like to be. I am smart. I am funny. I am prosperous. I am intelligent. I am abundant, etc. You get the point here. Keep it positive and believe in the words that you are saying. One day this will come so naturally to you that you WILL believe it and you will become your words. It is then that you will realize just how powerful words really are…So go ahead and open each and every door you choose without hesitation.